What’s your vision of an ideal honeymoon trip? Perhaps the thought of touring the Caribbean islands from the comfort of a first-class cruise ship is one option that really makes your heart skip. Of course you don’t have to be a newlywed to take a cruise, though. Cruises can also be a great choice for singles, couples and families who are looking for an enjoyable and affordable opportunity to leave the stress of daily life behind while they unwind. There are many different cruise lines and many different kinds of ships. For families and people with limited funds, a mass-market cruise ship can make exotic ports fit within a tight budget. If you want a little more exclusivity, a mid-level cruise can still be reasonably priced yet is more service oriented and offers less chaos. When comfort and luxury are of the utmost importance, it can be worth it to go all out for a high-end and more expensive cruising experience. When you decide to take a cruise to the Caribbean, you’ll need to decide what region you want to see. Cruises usually focus on the Eastern or Western parts of the Caribbean. Each area has a different feel and flavor and can also depart from a different location, so you’ll need to weigh all of these variables before you narrow in on your choice. Cruises to the Eastern Caribbean can originate from a number of locations, but Miami and Fort Lauderdale are the most common starting points. The itinerary on an Eastern Caribbean cruise can include popular ports like St. Thomas, San Juan, Puerto Rico and St. Martin. An Eastern Caribbean cruise usually offers ample opportunities for lounging at the beaches and doing lots of shopping. Snorkeling, sailing, scuba diving and hiking are also popular activities. 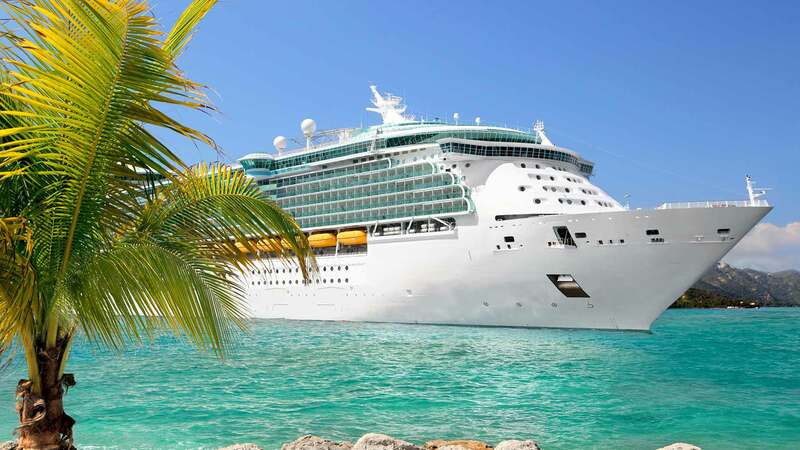 If you opt for a Western Caribbean cruise, it may also depart from Florida (Miami, Fort Lauderdale and Tampa are common origination points) or it can even leave from Texas or New Orleans. This part of the Caribbean usually provides a more cultural experience than the Eastern counterpart. Cruises to this region often stop at ports such as the Grand Cayman islands, Cozumel, Jamaica, the Dominican Republic, Belize and Costa Rica. It’s worth noting that these ports are spread further apart than in the Eastern part of the Caribbean, so you will have more time at sea in between excursions. Beyond the typical activities like scuba diving, snorkeling and hiking, you can also visit caves, a rainforest and other more exotic locales at some of the ports in this region. In addition to deciding what ports you want to see, you’ll also need to determine how long you want to be gone. Cruises typically last a week or two, but you can find cruises that are last only three or four days, as well as cruises that span a three-week period or more. When you will travel can be another key factor. Summer can be a slower time of year for Caribbean travel and you may get a better rate, which is good news for couples tying the knot in the warmer months. Just keep in mind that hurricane season runs from June through November, so you may run into some unpredictable weather and there’s always the chance that your cruise could have to skip ports if it’s diverted. Just as where you live on land affects how much your residence costs, the same is true for where you stay on the cruise ship itself. Cabins with ocean views, private balconies and suites will cost you premium rates, while inside cabins with no windows can be the most affordable. If seasickness is a concern, the experts recommend selecting a room in the middle of the ship on the lower deck where you aren’t apt to be bothered by the motion as much. There are several ways to book a Caribbean cruise. The easiest is probably to contact a travel agency and let him or her to the work for you. The advantage to this option is that the specialist will be able to recommend the cruise line or lines that will best meet your requirements, budget and timing. Some travel agents can also get you discounted rates. You can ask family and friends to recommend travel agents they like, or you can visit professional organizations like the American Society of Travel Agents, the National Association of Cruise Oriented Agencies, or the Cruise Lines International Association to search their member directories and find affiliated agents who specialize in booking cruises. This is important, since there are many details that you’ll need to work out when booking a cruise and you want a very experienced professional making sure everything is taken care of correctly. If you’re an experienced cruiser, you may decide to book your trip yourself. You can use one of the many discount travel services. Expedia.com, Priceline.com, Hotwire.com, Cruisecheap.com, and Lastminutecruises.com are just a few of the numerous options that exist. You can also contact cruise lines directly. Carnival, Royal Caribbean, Princess, Norwegian, and Holland America are some of the popular options you can try. Regardless of which booking method you use, make sure any cruise you select is a good fit for your interests and desires. For instance, if you are planning to cruise alone and hope to meet others, some cruises have a special focus on accommodating single guests and helping them socialize. If you are traveling with children, you’ll probably prefer a cruise that has many activities to keep them busy. Some of the other things you’ll also need to be concerned with when you book your cruise is how to get your luggage on and off the ship, how to meet any special needs, such as medical conditions, medical equipment you’ll need or special dietary restrictions. You can also ask if the cruise line offers any rewards or discount programs to help make the overall price more affordable. Finally, be sure to find out the cancellation policy up front, since it’s always better safe than sorry. What you can expect to spend on a Caribbean cruise depends on a number of variables, such as when you’re traveling, how long you’ll be gone and how luxurious an experience you desire. The type of room and the location can also affect the bottom line. Keep in mind that most cruise prices are also quoted per person, based on two people in the room. A week-long Caribbean cruise on a mass-market ship starts at about $700 per person and goes up to $1,400. This comes out to between $100 and $200 a day for meals and accommodations. On a mid-level cruise, the price per person is in the $1,400 to $2,100 range, or between $200 and $300 a day. If you’d like a more luxurious experience, high-end cruises can range from $2,800 to $5,600, or between $400 and $800 a day. So a cruise can cost anywhere from $100 to $800 a person per day. Just keep in mind that while the luxury cruises are much more expensive than the more basic options, they also come with more extras that help even out some of the distance. For instance, on a mass-market ship, you may have to pay separately for special entertainment, specialty restaurants and spa treatments, while these can sometimes be included as standard on luxury cruises. If you plan to take advantage of these extras, definitely price out the different options before you commit to the type of ship. It’s important to note that gratuities for the cruise staff are a standard expense. You can spend as much as $10 a person per day on this. However, some cruises do include tips in their cost, so you’ll want to find this out up front. Along with tips, the cost of drinks, port fees and other daily expenses can average as much as $100 to $150 per day, according to some travel specialists. Airfare or transportation fees to get to and from the cruise ship can also be extra costs you’ll need to consider as well.